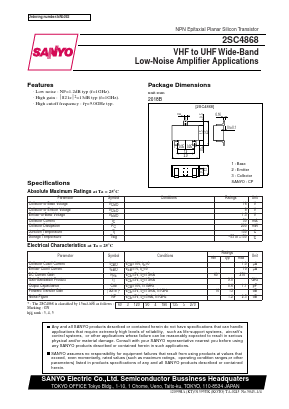 â¢ Low noise : NF=1.2dB typ (f=1GHz). â¢ High gain : |S21e|2=13dB typ (f=1GHz). â¢ High cutoff frequency : fT=9.0GHz typ.